For these courses, you must be 16 years or older. If applying for a Tier 4 General Student Visa provide proof of your English language level, e.g. 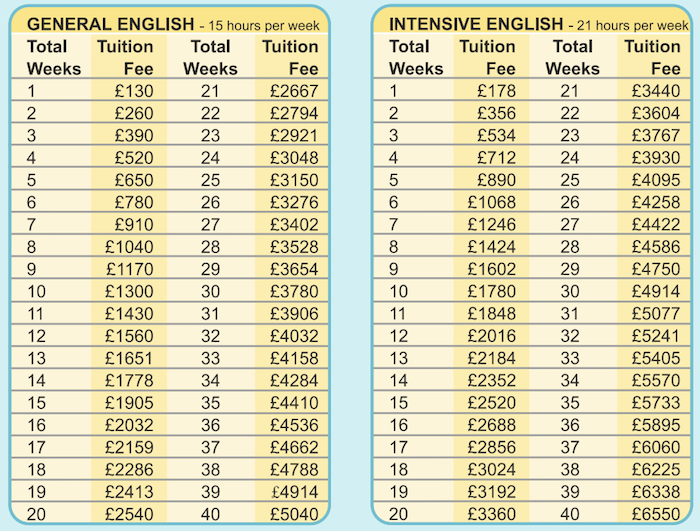 minimum UKVI IELTS 4.0 in each discipline. If you are applying to study on a Short-term Student Visa no proof of English is required. Both our General English (15 hours per week) and Intensive English (21 hours per week) courses are designed to improve your English ability in speaking, listening, reading and writing. You will improve your knowledge and understanding of English grammar, learn new vocabulary and get help with your pronunciation. Students taking our Intensive English programme will be offered help and practice in how to study for all parts of the IELTS examination, including timed exam practice. Upon reaching the required level of English Language you can apply for a further course at The College, or go on to University, or return to your home country.